Almost everyone doing worse days, during which we can not mobilize for work, study or even for training. Unfortunately, this is a big problem, because of the regularity of exercise depends largely on how large the effect will. The product is based on a natural extract from the seeds of guarana, caffeine and additives such as glucuronolactone and inositol! Top quality at a good price! 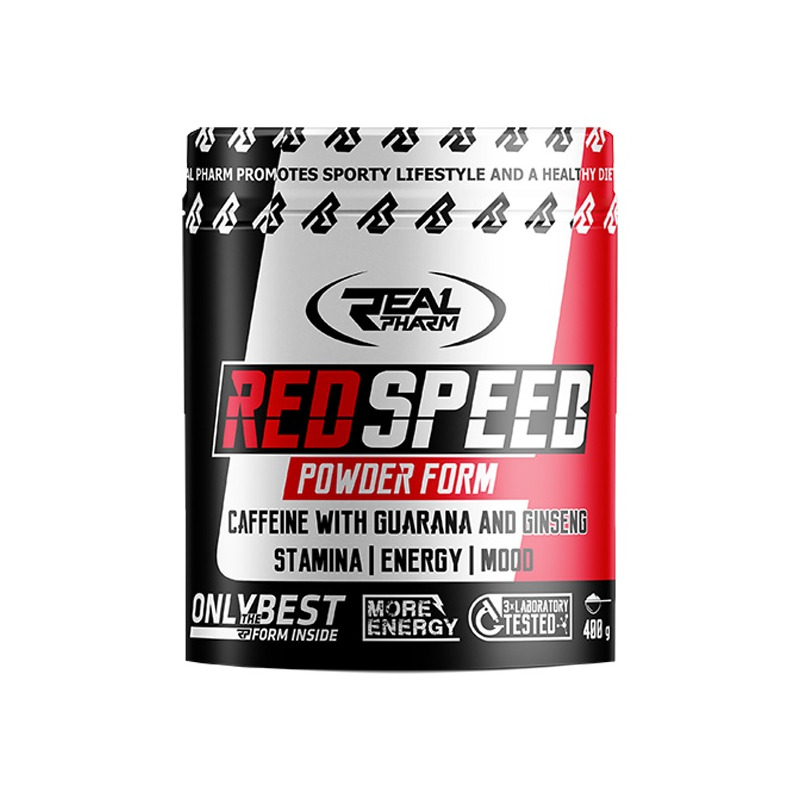 Red Speed ​​by Real Pharm is a high quality supplement. It is a product is carefully constructed formula, which was based on the extract from the seeds of guarana, caffeine, inositol and glukuronolaktonie. Its main task is to ensure an adequate level of energy in the body, which works superbly for use by athletes as well as people working physically or mentally. Caffeine contained in the product has a positive effect on reducing fatigue during tasks, and thus provides an increase in strength, attention and vigilance. The extract of guarana in addition to the tasks described above, can control the level of body weight through fat metabolism, protecting the body from the negative effects of stress and the adverse effects of the external environment. Guarana seeds are the richest vegetable raw material in terms of caffeine content, which has a direct effect on the transmission of stimuli in the nervous system of man. With such a composition Red Speed ​​of Real Pharm will provide you with instant supply of energy and will alleviate the symptoms of fatigue and improve overall concentration. The product does not cause side effects in relation to the kidneys and the mineral body, making gains even more of its value. 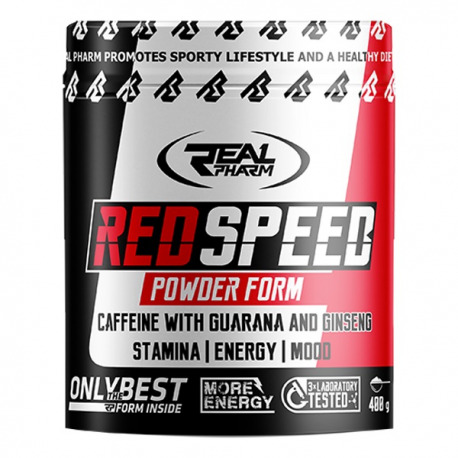 REAL PHARM RED SPEED POWDER - POWER CLOSED IN THE FORM POWDER! 1 serv consumed 1 times a day. Ingredients: Isomaltulose, Paullinia cupana guarana extract standardized for 22% caffeine, Caffeine, Inosine, Inositol, Glucuronolactone, Maltodextrin, Ginseng rhizome extract standardized on 0.8% E + B electrotoside, flavors, colors: beta carotene for lemon, orange Exotic; Extract of red beet for exotic flavors, strawberry, raspberry; Indigo for the taste forest fruit, anti-caking agent: silicon dioxide.